Welcome to another episode of Return to the ’80s! This episode is the first in a series of television theme songs. Robert and Paul each pick 5 sitcom theme songs, and discuss them. A special thanks goes out to Return to the ’80s team member Sandy from Jersey for putting together these show notes. As usual, if you have any questions or comments about this episode, or anything ’80s, we would love to hear from you! Our next episode will be about Ghostbusters. Let us know if you’ve seen the new Ghostbusters movie. Also, Ghostbusters II gets trashed alot. Are there any fans if that sequel out there to defend this film? You can email us at returnto80s@gmail.com. – Stranger Things coming out and how it’s a mix of 80s movies. – Talk if how great the kids were in the show. 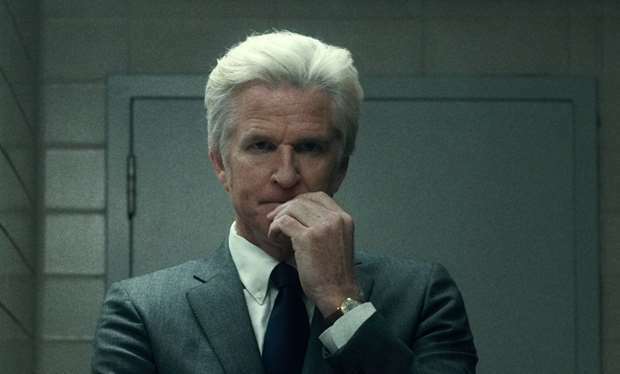 – Talk of Matthew Modine in Stranger Things. – Bon Jovi coming back out. Spoke about that. Played clip of “This House Is Not For Sale“. Has 1.7 mil hits on YouTube. – Spoke of Robert being a guest on 80’s Reboot Overdrive podcast. And Paul was talked about on the podcast as well. – Remember that Song – Tina Marie got the answer to the question, which was “The Way It Is“, sung by Bruce Hornsby. – Tim Cook also got song right. – Reads note that Tim wrote. Write in to returnto80s@gmail.com and put Remember That Song in the subject line to submit your answer. “Who was the producers original choice to play Alex P. Keaton on Family Ties. ?” Answer was Matthew Broderick which was answered by Tina Marie. – Matthew had to decline role because his father became ill.
– New trivia- Which 2 songs in the U.S., that were sung in German, were #1 and #2 songs. – Paul talks of old intro styles to TV shows and how he misses them, and misses opening credits. – Covering sitcoms on this podcast, and the other categories will be split up. – Growing Pains (a personal fave of mine) spoke of the show and how Leo and Matthew Perry were on it and how it was one of Paul’s favorite shows (mine too). – Head of the Class – Paul talks of when he was in the Navy and Khrystyne Haje and the Pointer Sisters came on his ship during the Gulf War. – Talks about Red Oaks – the show that is on Netflix [But Paul remembered after recording this, that it is actually on Amazon). – Diff’rent Strokes – talks about how a reunion can’t be because a lot of the characters have passed away. – Ending – talks of covering more show tunes and speaks of Blu Ray coming out Tuesday for Ghostbusters. – And speaks of the soundtracks.